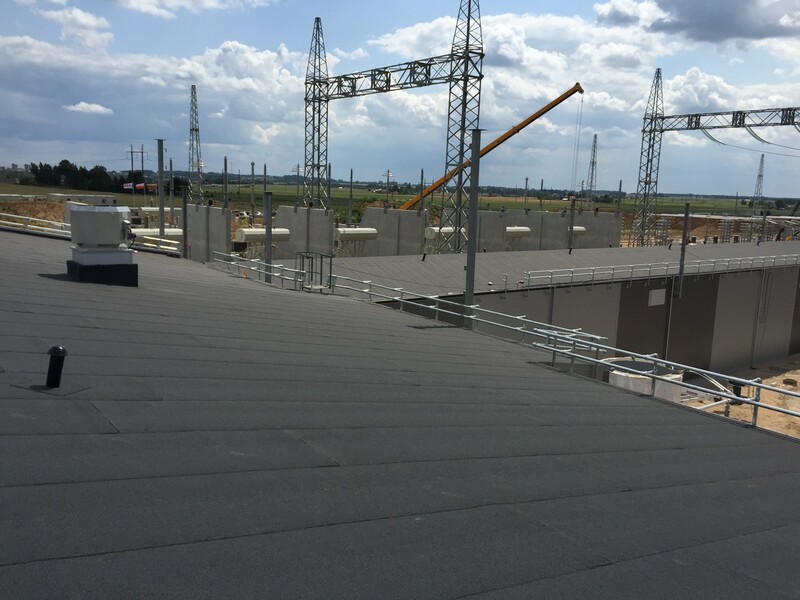 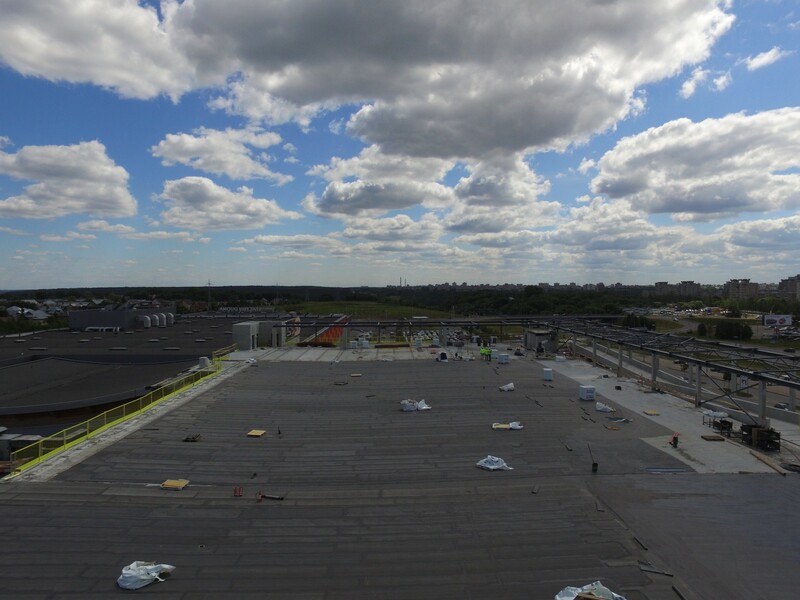 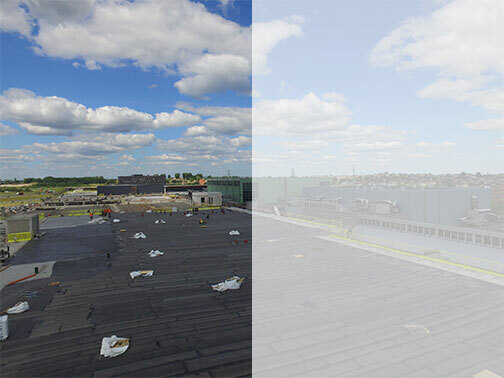 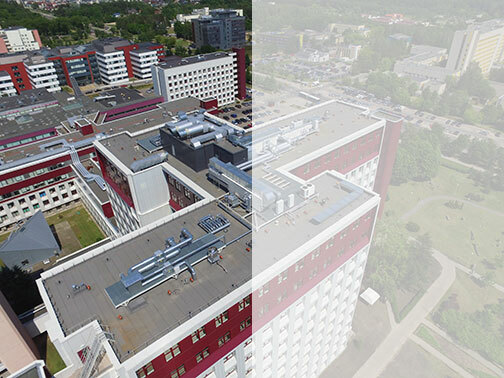 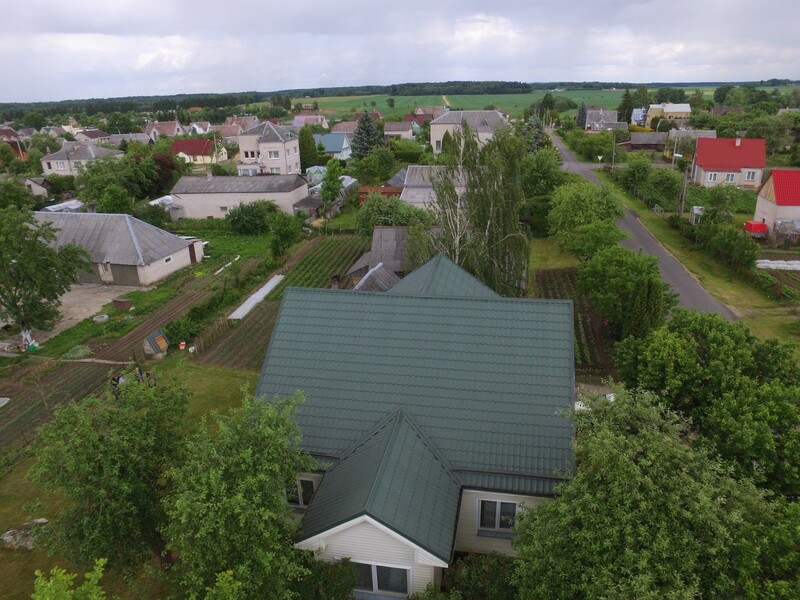 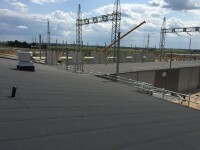 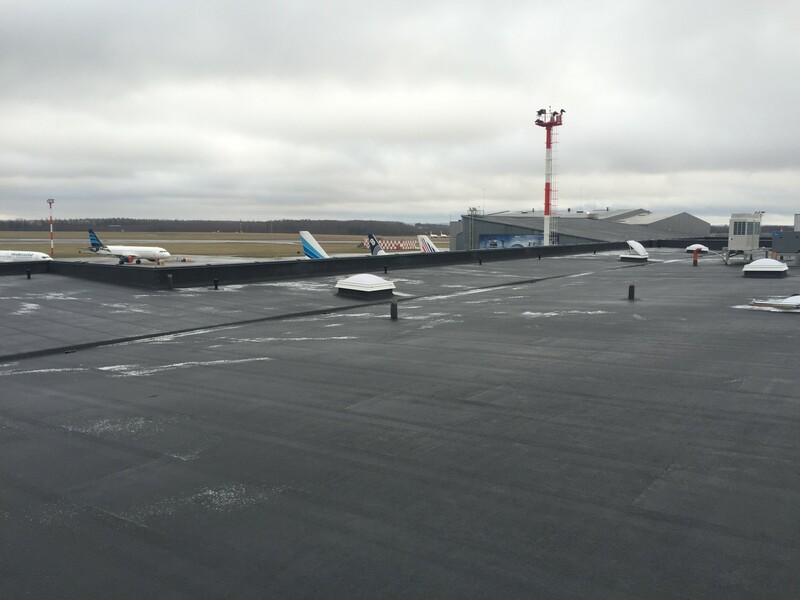 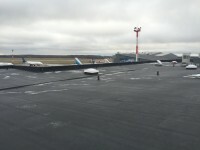 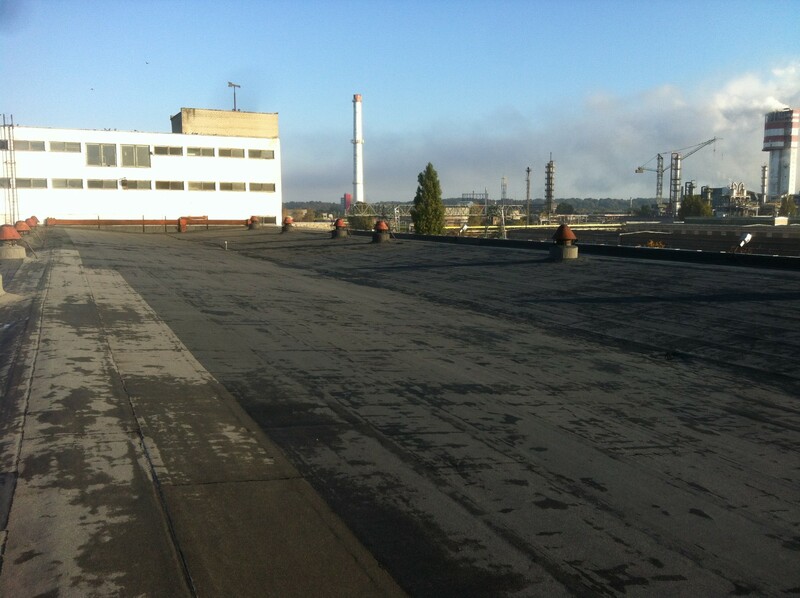 In Lithuania most of the area is occupied with flat roofs, they are usually seen on public, industrial buildings, warehouses, most apartment buildings and recently individual residential buildings are choosing flat roofs more often. 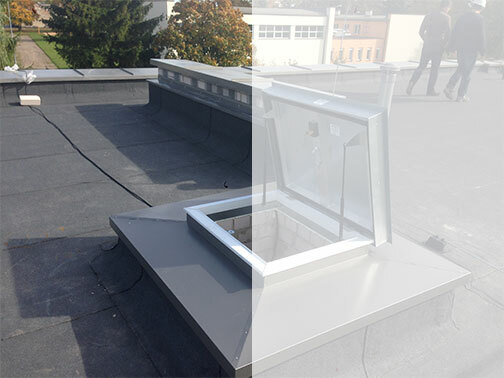 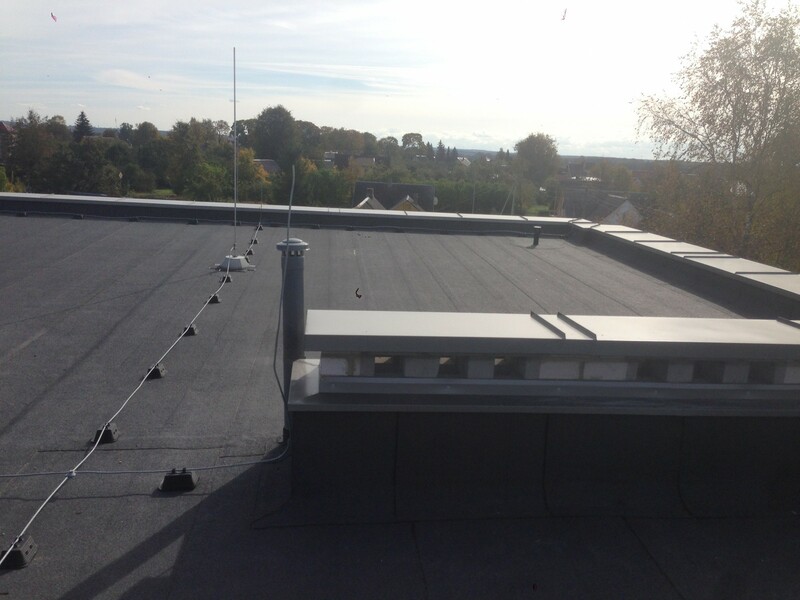 Modern flat roofs are not only waterproofing and thermal insulation, but also they can be useful for an additional area. They often become terraces, gardens, recreation areas and children's playgrounds in urban areas. 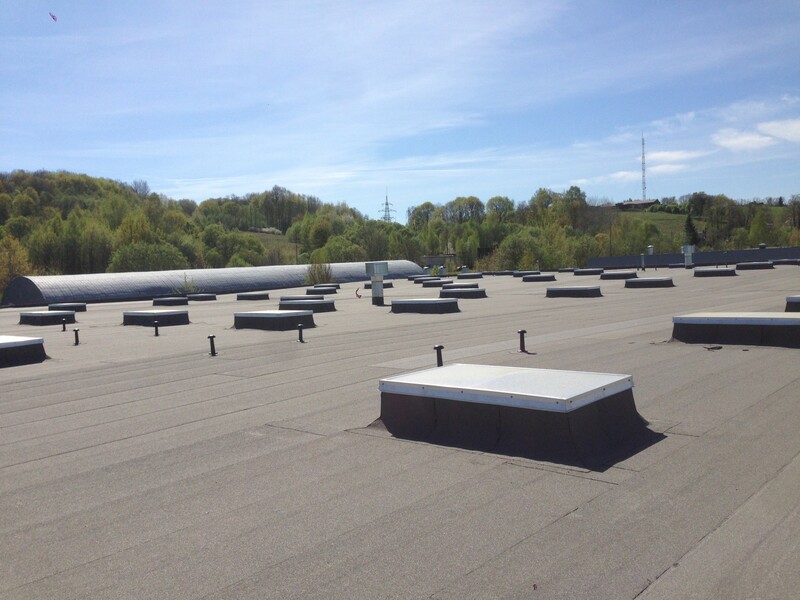 If the roof is superposed, it is much easier to install it than a slope one, but it is important to choose the right roofing material and work with professionals. 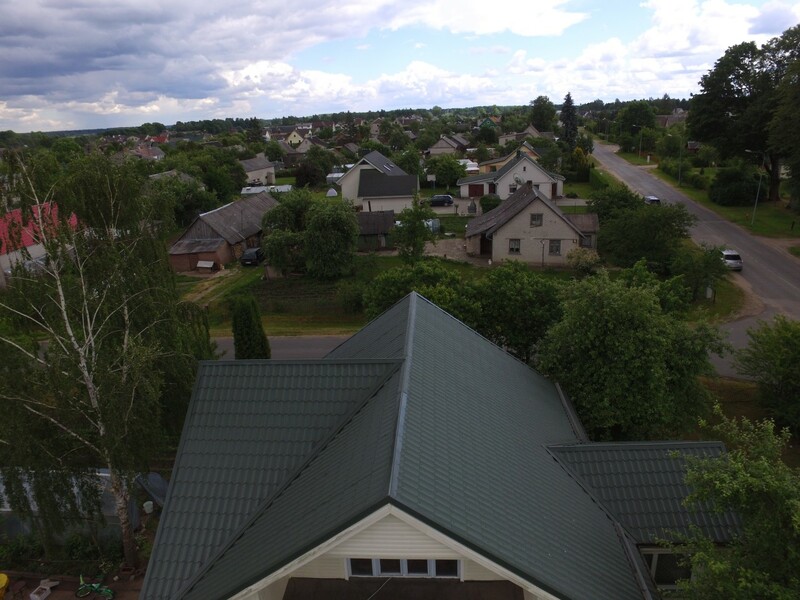 Our company employs only qualified roofers, who continues the traditions of Lithuanian roofers, so you can trust us for all roof installations. 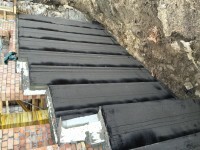 Installation of foundation waterproofing for the whole building is very important, because it protects not only the foundation, but also the whole building. 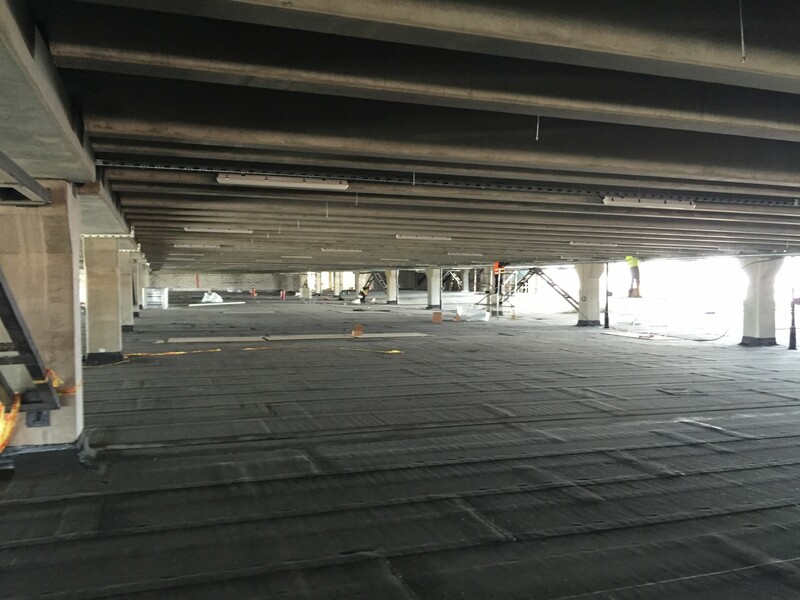 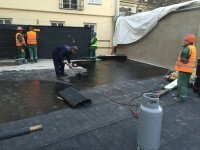 Foundation waterproofing is one of the most important systems for residential, non-residential buildings and other construction, as well as car parking lots. If these works are done without quality, there can appear moisture, mould and fungus, moreover the frozen water in winter can destroy constructions. 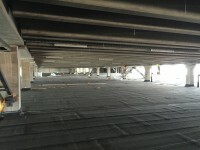 Waterproofing of building foundations and parking lots provides protection against water and moisture. 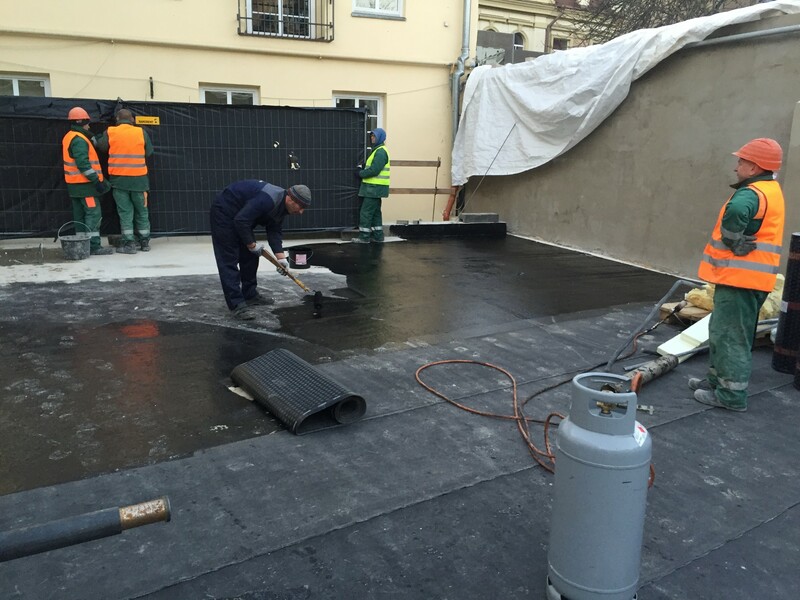 We perform these work in a high-quality way and assure that water and moisture will not come into your building after our foundation waterproofing. 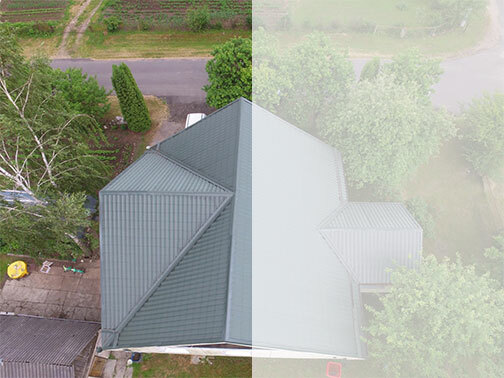 The function of iron roofing is covering the leaky roof (parapet, ventilation and shafts, roof and wall connections, etc.). 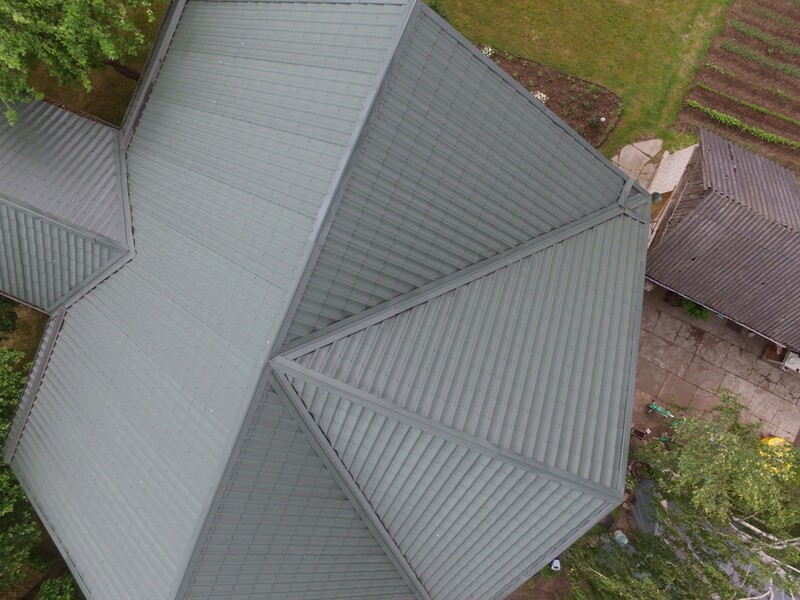 Iron roof elements prevent water and ensure the durability of the roof when they are qualitatively fixed. 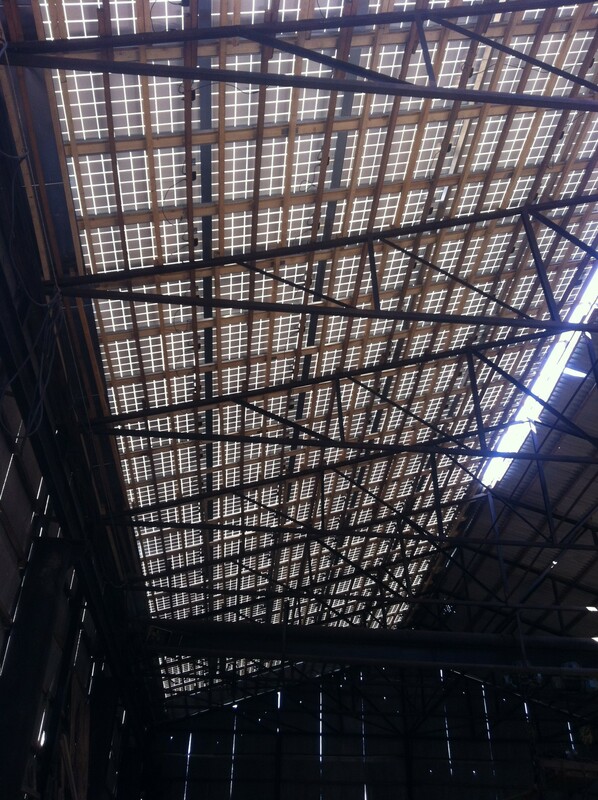 Our qualified team can fix your repaired or newly constructed iron roof structures. 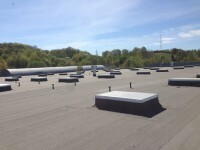 There are needed suitable bending production for high-quality roofing works which will ensure the repaired or newly constructed water tightness of roof and waterproofness while installing water drain systems. 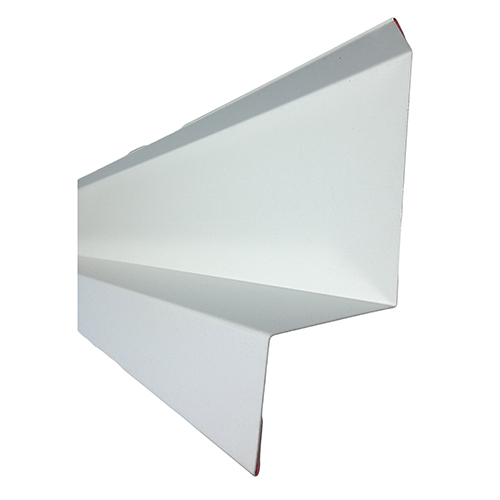 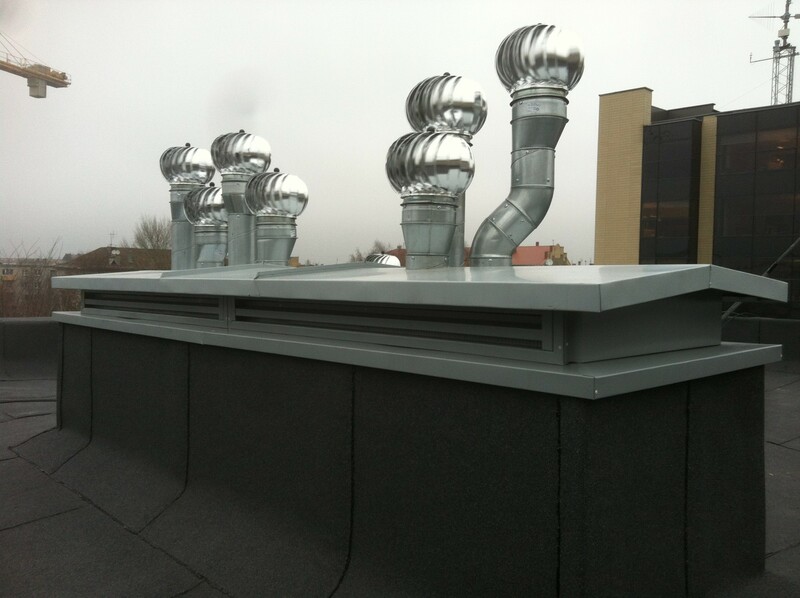 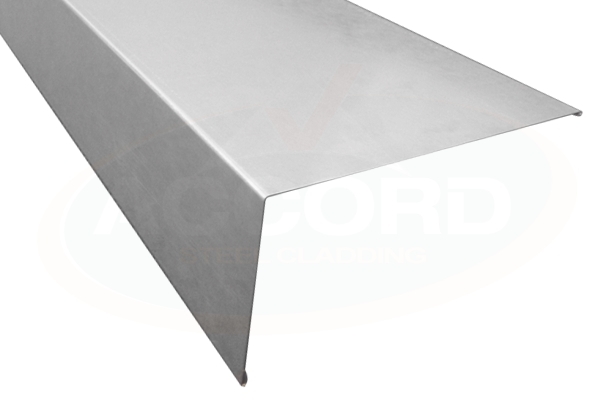 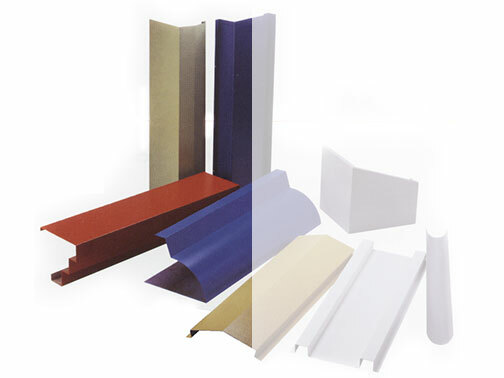 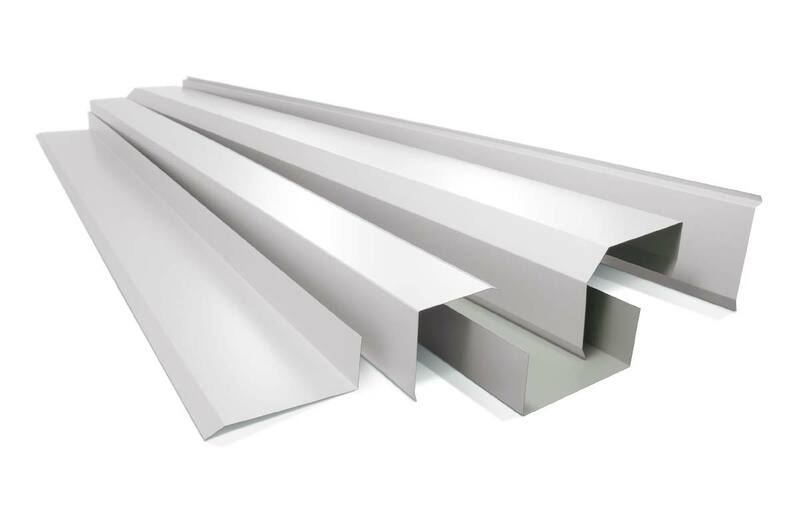 We produce various bending products for roofs. 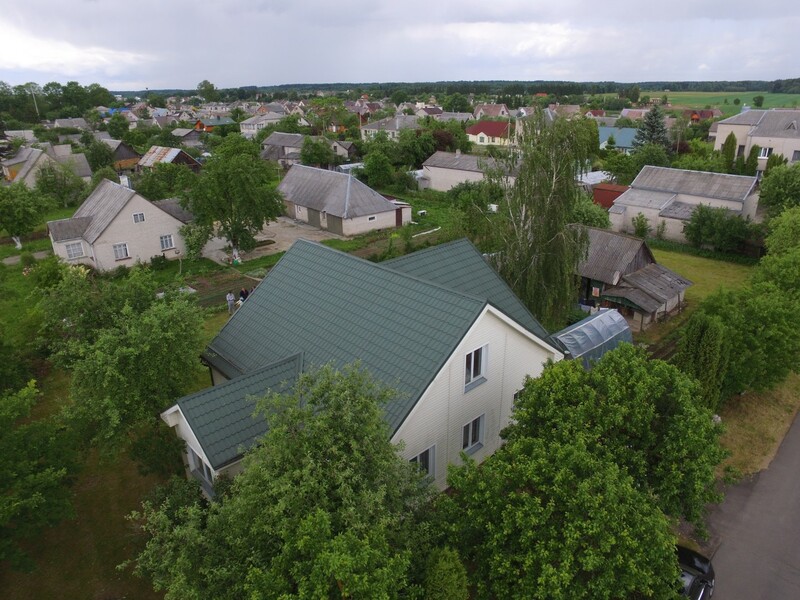 Most homes in the world are equipped with pitched roofs. Traditions are the reasons of pitched roofs popularity. This roofing construction technology is popular for centuries and for the majority of people it is the most reliable way of roofing, because this construction is very reliable and strong. 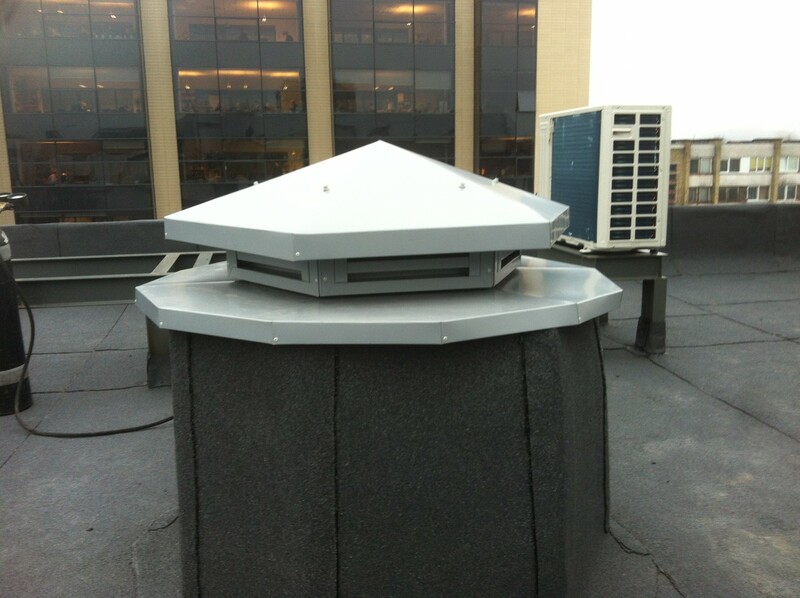 It can remain undamaged for decades when covered in a qualitative way. 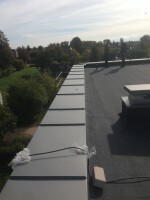 This is why we suggest to rely on our experience in pitched roofs, we guarantee that our installed roofs will keep for many years, so we always provide the guarantee. 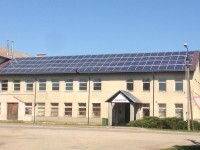 The sun produces huge amounts of energy every day. 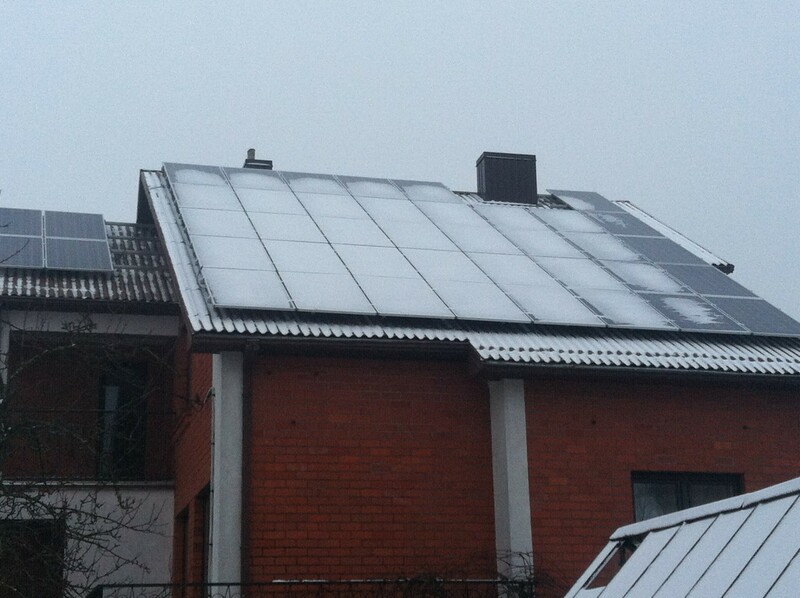 It is believed that this is the most powerful source of energy on Earth. 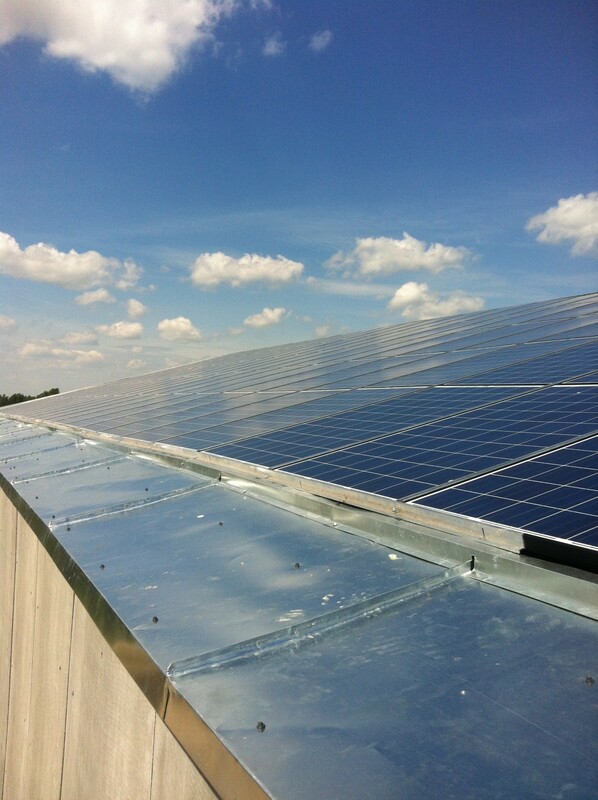 Solar power plants are designed so that each person who cares about the environment can save their money. 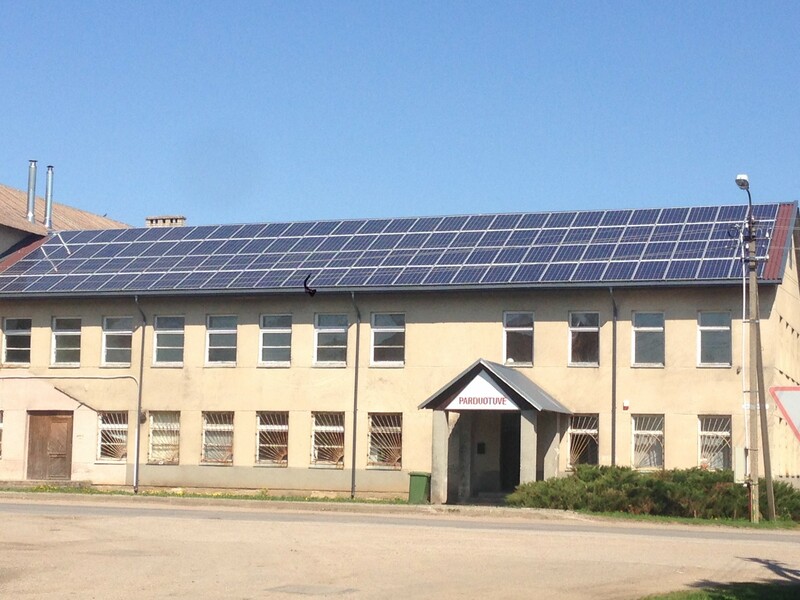 Solar energy has significantly improved the way of life, the usage of it is very various, but the most effective it is a solar energy plant which can be installed in almost every house. 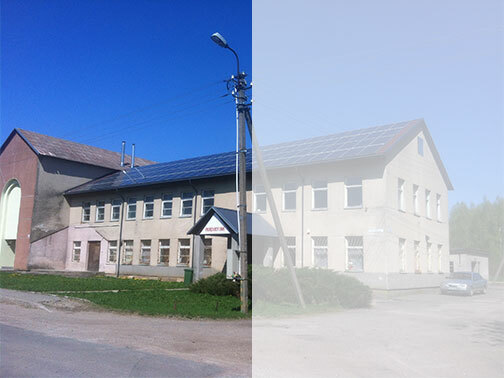 Since our company's activities are related to roofing, we can offer you solar power plants installation on the roof of your building. 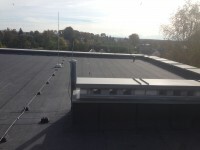 You just need specific area on the roof and a little space to install inverters and batteries.